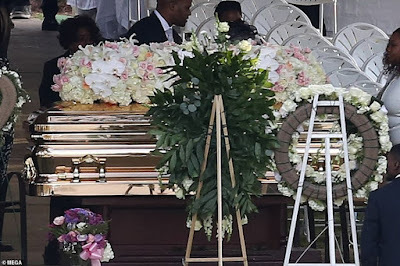 Sean 'Diddy' Combs delivered a heartfelt eulogy at his ex-girlfriend Kim Porter's funeral, touching on how they first fell in love and revealing how she helped as he battled with depression earlier this year. Porter, 47, was laid to rest next to her mother after an emotional funeral in Columbus, Georgia on Saturday. 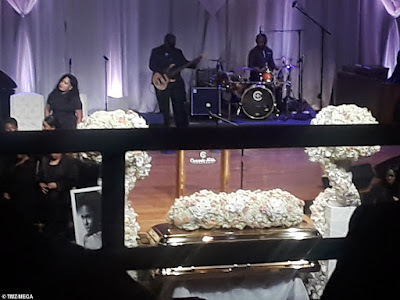 Diddy, 49, spoke for nearly 18 minutes as he paid tribute to the mother-of-four, crediting her with teaching him how to love. 'Anybody who knows Kim, she's just a person you vibe with, you know? I can't put our relationship into a certain box,' Diddy told the crowd, which included Usher, Mary J Blige, and Missy Elliot. 'She always told me, she felt like God sent her here to help me out. I'd be like "Girl, what are you talking about,"' he continued as the crowd laughed. 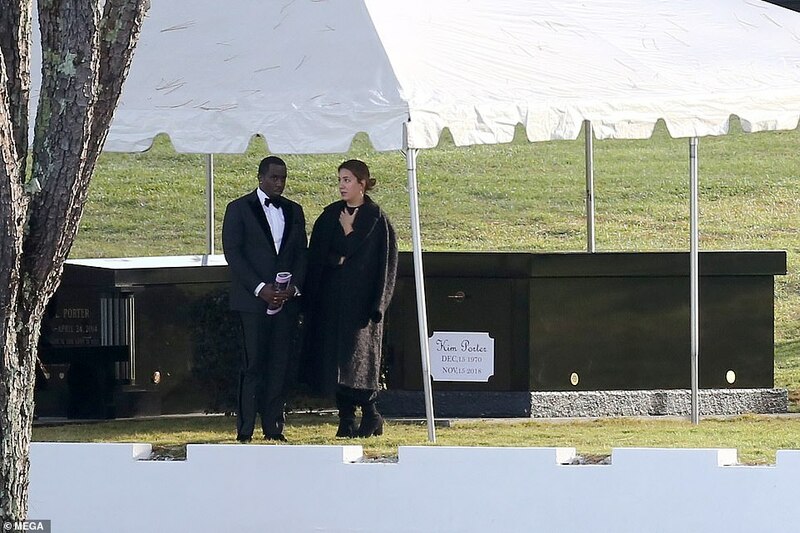 Diddy then revealed that he was 'really depressed' at the beginning of the year, and that it was Porter who helped him through the darkness. Diddy then asked the crowd to say 'up' with him. The fashion mogul also told the crowd about the first time he saw Porter during a recording session at Uptown Records in the early 1990s. 'God, I hope one day I get me a girl like that,' Diddy recalled thinking to himself at the time. 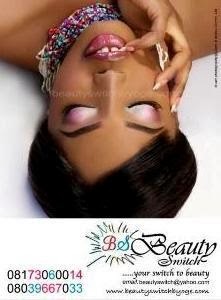 Diddy revealed how him and Porter started as friends, and that even from the beginning she was his 'confidante'. While Diddy did not break down during the ceremony, at one moment he stopped and said: 'We didn't really plan for this'. 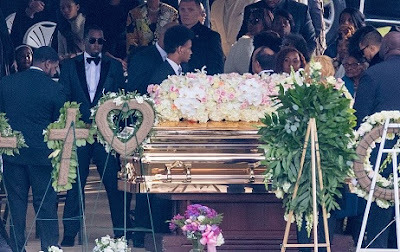 Diddy then addressed the three children he shared with Porter, their son Christian, 20, and 11-year-old twin daughters Jessie James and D'Lila, as well as Porter's firstborn Quincy Brown, 27. 'Your mother instilled in me this, and I pledge in front of everyone now, I will always be there for y'all,' he told them.